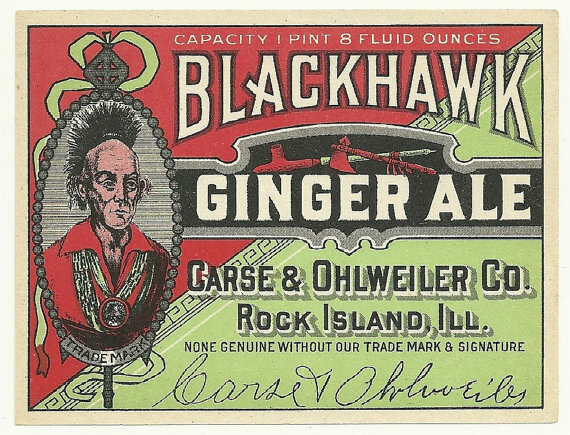 A few weeks ago, I went into a convenience store and on the counter is a business card for towing company called Black Hawk. I figured it was a sign, but wasn't sure. Last night I had a dream about BlackHawk, where there was one of his bust statues, and it exploded... but not in a bad way. It wasn't like it blew up into pieces.... there was like an explosion of light coming from it... I'm not sure if it was "light" per se... but some type of spiritual force around it which emitted outward. 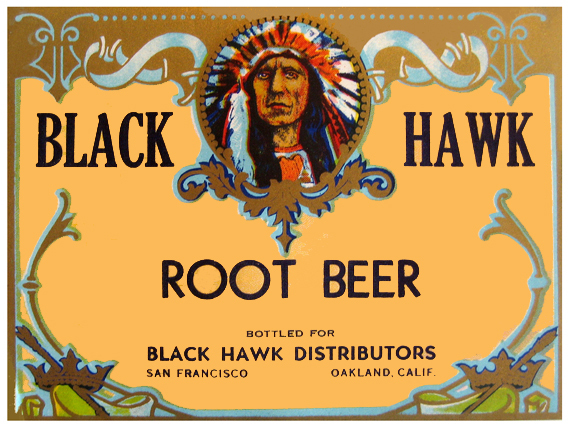 I know that Black Hawk can be served in order to connect with your native ancestors. And I thought I saw a page devoted to him on the lucky mojo website, which I can't find now. But I was wondering what sort of information anyone has on Black Hawk... or if this is a spirit someone works with... what sort of things does he help with? This is just my experience, but he works really well for people of Native American descent. He helped me locate my Native American ancestors and guides. I've searched the LM forum for more information about Black Hawk (and viewed the archive post), but didn't find much. I have the book mentioned (The Spirit of Black Hawk), also The Spiritual Churches of New Orleans (which has a few mentions of Black Hawk), but neither work has the specific information about practice that I'm looking for - specifically, how to construct a proper Black Hawk bucket. Any information concerning the bucket, or any other aspect of working with Black Hawk, would be much appreciated. I recommend that you get a short reading with one of the AIRR readers (http://www.readersandrootworkers.org/in ... Black_Hawk) who specifically work with Black Hawk...I have linked it here, you may request a consultation with that purpose. Good Luck in your findings. 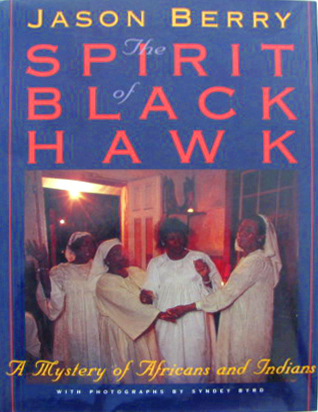 As a basis for working with Black Hawk in the context of Spiritualist church services, i strongly recommend the 1995 book by Jason Berry called "The Spirit of Black Hawk: A Mystery of Africans and Indians." This contains the material about the Spiritualist Church services for Black Hawk upon which Starr drew for her inspiration. You can order from right here in the forum by clicking the blue Add To Cart buttons. Both Starr and i at AIRR work with Black Hawk and can tell you more. For me this would not be a reading, but would come under the heading of Rootwork Advice and Magical Coaching. In addition, here is a page at AIRR which i wrote about working with Black Hawk. The pictures shown are Starr's (with flag) and mine (with red background). You cannot go wrong with either of these two fine rootworkers. I know that I personally have had magical coaching by Starr and Miss cat and I have to say they are immense resources of knowledge. They are down right amazing. Sorry it took me so long to get back to this thread. My thanks to all for your information and recommendations. I'll let you know how my further explorations go. Actually on my paternal grandmother's side of the family, we do have native ancestors, from the Black Foot tribe. Its really funny because i have been thinking about Black Hawk a lot lately... and he is located in Wisconsin and the Black Foot Tribe is located in the Dakotas and in Alberta, Canada... there is a slight possibility that Black Hawk, being so close to Black Foot region could have either known my ancestors or been a distant relative. I mean, he is repeatedly coming to me in dreams... and i am hearing, seeing the words "Black Hawk" everywhere. Black Hawk was a warrior and the Black Foot tribe consisted of supreme warriors, some of the best among the indian nations. And this is why their reservation is so big. I am actually going to get a mediumship reading soon, and I will bring up Black Hawk and see if perhaps he has a message for me. Just a note about the tribal term "Black Foot" -- This is NOT the same as the Blackfeet tribe of the North Central plains (the Dakotas and Alberta province). The Black Foot group is a non-federally recognized sub-group of the Cherokee tribe which was originally Georgia, the Carolinas, Virgina, Tennessee, Kentucky, etc. and was later forcibly removed to Oklahoma. The term is used often to describe African slaves who ran away from their British or American owners and joined the Cherokees as the tribe fled westward to escape British and American invasion. It also may describe Africans whom the Cherokees purchased as slaves (the Cherokee tribe kept slaves, although their rules concerning slavery were dramatically less severe than the British and American laws governing slavery at that time) and who were later freed or married into the Cherokee tribe or its remnants. Some of these African Americns became Spiritualists and one of them, Leafy Anderson, of Wisconsin, propagated mediuship and church services honouring the spirit of Black Hawk. She seeded Spiritualist churches from New York through New Orleans, and her Black Hawk services became popular throughout the Black Spiritualist churches during the 1920s and 1930s. Mama Starr is a great teacher of how to work with blackhawk and has a whole book she wrote dedicated to how to work with him. I think it is sold on lucky mojo otherwise you would have to go to her site. I would actually get some magical coaching from momma starr to learn how to further work with him. And no I Dont think this is a garbage dream...he wants to work with you and probably is telling you to contact momma starr to help you. Your post has been merged into the thread called Working With Black Hawk were you can find some useful information. Jason Berry's "Spirit of Black Haw" book can be found here. I also highly recommend learning from Momma Starr of AIRR on the subject. Hi Rachel, I third the sentiment that this dream is telling you quite clearly to begin working with Blackhawk & to have Mama Starr help you. Once again, i strongly recommend the 1995 book by Jason Berry called "The Spirit of Black Hawk: A Mystery of Africans and Indians." This contains the material about the Spiritualist Church services for Black Hawk upon which Starr drew for her inspiration. I just wanted to acknowledge that since joining the LMCC forum and committing to honoring the gifts of my ancestors and moving forward in my spiritual development all kinds of energy has begun to move for me. 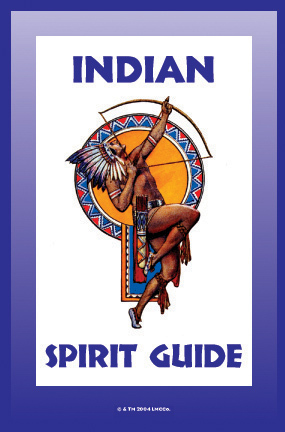 I have just signed up for the course from Momma Starr and ordered some Indian Spirit Guide Oil (among other items) to get moving on the required purchases for the LMCC correspondence course! Thank you to ALL of the LMCC community. I feel that Blackhawk has been trying to reach me. I first heard about Blackhawk and still never knew the full extent of his work except that he was a spirit guide, this was nearly 8 years ago. But these days I find myself increasingly attracted to native culture, I made a Mi'kmaq friend who teaches me astrology and some native lore, he's doesn't know much about him. And my estranged partner is deeply involved with native culture, his subcontract is native owned, he knows nothing except that he decorates himself with haida and maori tattoos. I first became attracted to Canada when I was around 15 sitting in French class, I have since moved to Canada and of all places I suspect that I have migrated to Mohawk or Ojibway territory. I suspect I am 1/32 of one of the two bands. Anyway... I have ordered LM Indian Spirit Guide oil and incenses from the Feb special on the newsletter, not sure why I was just compelled to do so. The info on the AIRR page says he is called upon for court case matters. Which is something I seem to have some trouble with, I wonder if he is revealing himself to me to work for me. I have began to gather materials for an alter to him, a smallish one. I think I need his help to be a look out or maybe help with causing some confusion for those people who are in opposition on my court case. I have some buffalo teeth, arrow heads, sand from the beaches of new zealand, I have some toe nails of the estranged partner, 500ml galvanized pail and a silver charm of an indian chief it's on my bracelet, because I don't have a bust right now unless I sculpt one. I also have many scout pennies. Probably need a feather, a peace pipe and a bow or tomahawk to complete it. Strangely most of these things, except for the charm are in the corner of the house where the alter would go. Looking for a photo of Martin Luther King and another one for St. Michael. Read that there is a spiritual trinity when you work with Blackhawk and include MLK and St. Michael. Been attracted to MLK lately too, and St. Michael is almost everywhere I turn. What do you think and is there something more that I should be aware of? 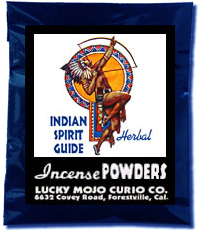 Can I blend the LM Indian Spirit Oil with LM Law Keep Away? I have incense and oil for Law Keep Away. First, have you read through this entire subforum? There's a lot of information here. Also, you may want to see if an AIRR member can give you magical Coaching on this. I believe that Mama Starr works with Black Hawk: http://readersandrootworkers.org. And yes, you can mix the laws keep away with the Indian Spirit oil. We also work with Black Hawk at Missionary Independent Spiritual Church.